Flight attendant finds soaring success and fulfillment in her career. At first glance, she may come across as just one of those beautiful young faces that luckily found a career in the skies, always smart and elegantly poised while assisting airline passengers during flights. But beneath beauty and grace lie strength and determination that helped 24-year-old Ryzlle Piamonte weather life’s turbulence, towards a well-deserved success as an international flight attendant. As the eldest child, she learned to deal with life’s ups and downs on her own when her parents separated. She carried on many responsibilities, one of which is to earn enough to finance her family’s needs. But instead of being discouraged, she used painful experiences to feed her aspirations. “Heeding my grandmother’s advice, and upon realizing my life was spiraling out of control, I decided to change my ways upon coming here in Manila. I think these challenges gave me the maturity to improve my life,” shared Ryzlle. Years saw Ryzlle working earnestly on her way up, taking on a series of contractual jobs as a food chain crew, a sales lady, and later, as a model and as an acting talent in television soap operas. Despite earning enough and having a blossoming TV acting career, Ryzlle knew deep inside that she wanted a stable career that not only provides financially but also realizes her childhood dream—see the world. She knew that to get there, she has to prepare well, with the best education under her belt. Upon the suggestion of a friend, Ryzlle took the next step and enrolled at the WCC Flight Attendant School (WCC FAS) where she took up the 45-day Flight Attendant Course Program. Her instructors at WCC FAS, in particular her mentor, Emylyn ‘Len’ Serrano, now WCC Head Administrator, was a big influence in her life. The support of the faculty made her transition to student life a very enriching learning experience. “The training was rigorous and challenging in all aspects, but through it all, the instructors were there to guide us. They motivated us, pushed us outside of our comfort zones. They believed in us, and that boosted our self-confidence, knowing there are people who want to see us succeed,” she shared. With her natural leadership qualities, Ryzlle easily passed many career interviews, receiving hiring offers from at least three major international airlines even before formally graduating from the WCC FAS program in October 2013. Since then, Ryzlle has been proudly carrying the Filipino brand of hospitality with SAUDIA Airlines. 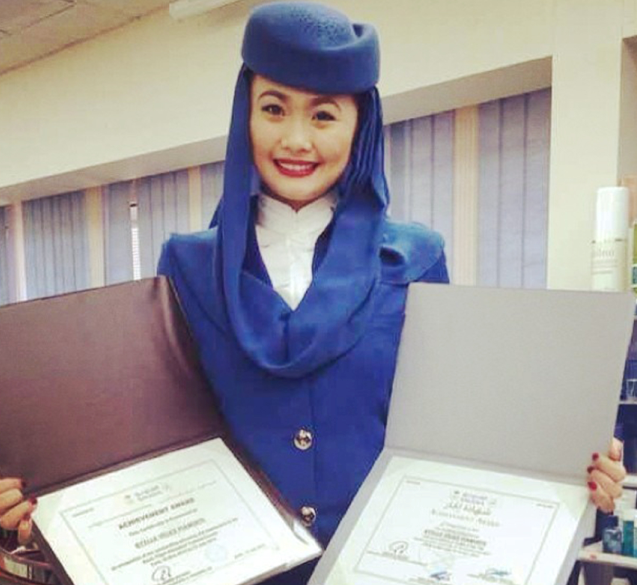 She is now one of the airline’s highly trusted and recognized flight attendants. Besides the appeal of travelling around the world, the profound fulfillment that she enjoys most is being able to secure a brighter future for her younger siblings by providing for their education. While a career in the airline service industry is a challenging path to pursue, it is one that offers excitement, travel opportunities and financial stability. With highest training standards and well-rounded courses, the WCC FAS program is also purposely designed in tapping the best potentials of students while bringing in genuine results in a shorter period of time. “WCC FAS prides itself with an airline-based curriculum that is accredited by the Technical Education and Skills Development Authority. We offer students top-notch practical flight training; we give them real results as evidenced by our graduates’ excellent passing rates,” said Serrano. Part of its support to graduates like Ryzlle is to find career opportunities after providing them with complete cabin crew training. This, according to Serrano, assures airline companies that the students are groomed to be no less than the country’s best airline hospitality workforce. WCC FAS ranks as one of the leading providers of highly-trained cabin crew who are now employed with international airlines like SAUDIA, Qatar Airways, Emirates Airlines, Kuwait Air, Royal Brunei Air, Air Atlanta and Oman Air, as well as with the top domestic air carriers. Ryzlle’s exceptional achievement in life provided a sense of hope and motivation to her family, colleagues and students. With her success story espousing the heart of WCC FAS’ advocacy, Ryzlle spreads her words of inspiration whenever she is invited to address FA graduates during ceremonies. “I want them to see in me what they think is hard to accomplish. I tell them to never lose sight of their career objectives no matter what obstacle may come,” she said. 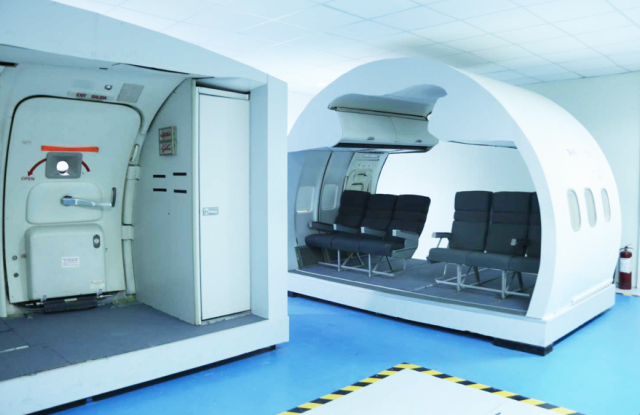 Established in 2006, the WCC FAS is under the umbrella of WCC Aviation Company, Inc., a leading player in the aviation industry which runs its own airfield, flight simulators and aircraft. Focused on harnessing the natural potentials of learners, the school’s primary objective is to provide trainees with knowledge, skills, values and character formation required to prepare them as highly competitive cabin crew members. Aim high for the skies and begin your future in airline service at WCC Flight Attendant School. For inquiries, visit Room 407, World Citi Colleges Bldg., Aurora Boulevard near Anonas LRT 2 Station, Quezon City. 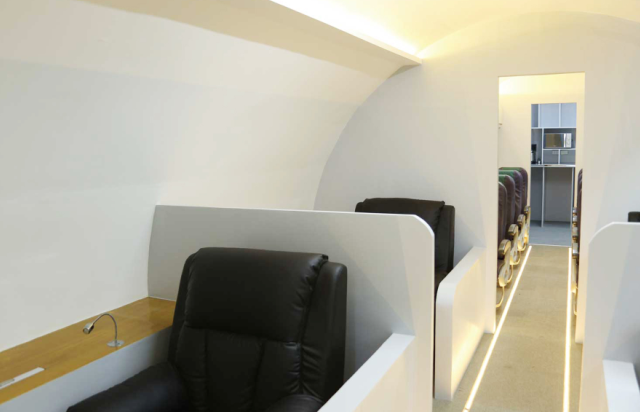 Call 437-0197/ 0908-887-0942 or email: flightattendant@wccaviation.com.